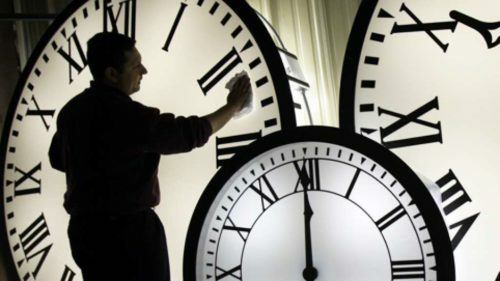 Daylight saving time, usually referred to as the Horario de Veranoin Mexico, begins at 2:00 am local time on Sunday, April 7, 2019. So if you are lucky enough to be celebrating Spring here in the Yucatan, don’t forget to set your clocks ahead one hour before going to bed this Saturday night! Mexico adopted DST nationwide in 1996, even in its tropical regions, because of its increasing economic ties to the United States. Although the U.S. changed the schedule for DST beginning in 2007, most of Mexico did not go along with it. Daylight saving time for Mexico begins on the first Sunday of April, and ends on the last Sunday of October. In 2010, the ten Mexican municipalities that share a border with the United States started to observe daylight saving time three weeks earlier, on the second Sunday in March and ending on the first Sunday in November. This change in daylight saving time observance was requested by local governments and political leaders to help facilitate commerce with the United States. Until April of 2010, the state of Nayarit was one hour earlier than Puerto Vallarta and the state of Jalisco. Before that, many tourist related businesses in Nayarit around Banderas Bay would set their clocks to Puerto Vallarta time to prevent confusion. On April 4, 2010, Nayarit initiated a 2 hour time change to coincide with Jalisco. Therefore, in both states clocks will be turned forward 1 hour from 2:00 am to 3:00 am on April 7, 2019. Daylight Saving Time will end in Mexico on Sunday, October 27, 2019.